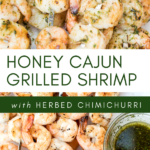 This honey cajun grilled shrimp recipe is almost too good to be true. 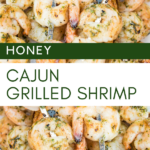 It starts with a beautiful honey butter sauce brushed on fresh shrimp, skewered, and grilled to perfection. It’s then removed from the grill and finished with a Chimichurri. 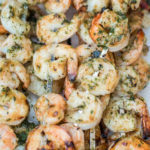 It’s a fresh addition to any grilling menu and would be perfect on a salad, in a taco, as an appetizer, or served with steak as a surf and turf style entree. 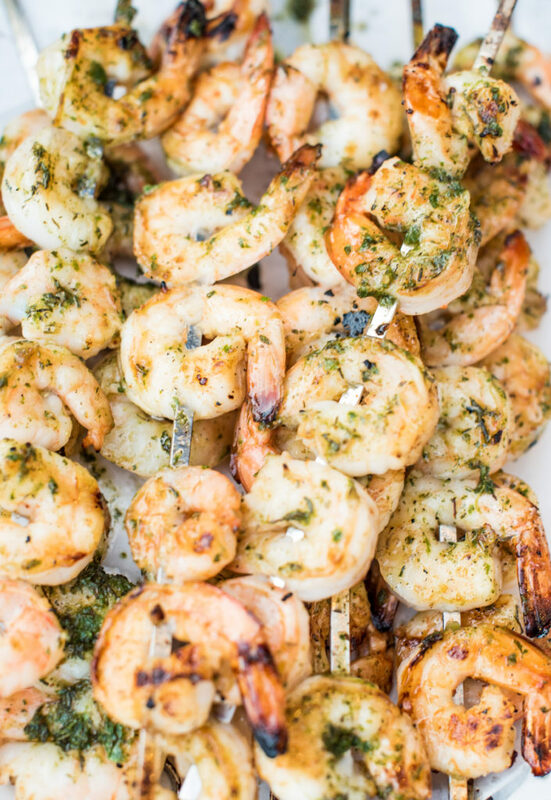 The sweet honey, with the spicy cajun seasoning, and fresh herb chimichurri are a delicious trio. A fresh meal perfect for the summer. This light protein will be a grilling go-to! 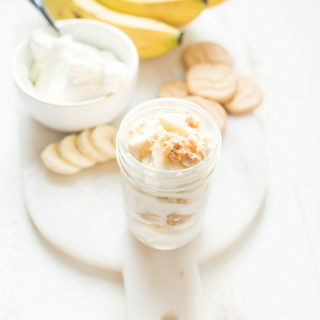 It was meant to be part of meal prep but quickly turned into snack/ early dinner as we just couldn’t keep our hands off! 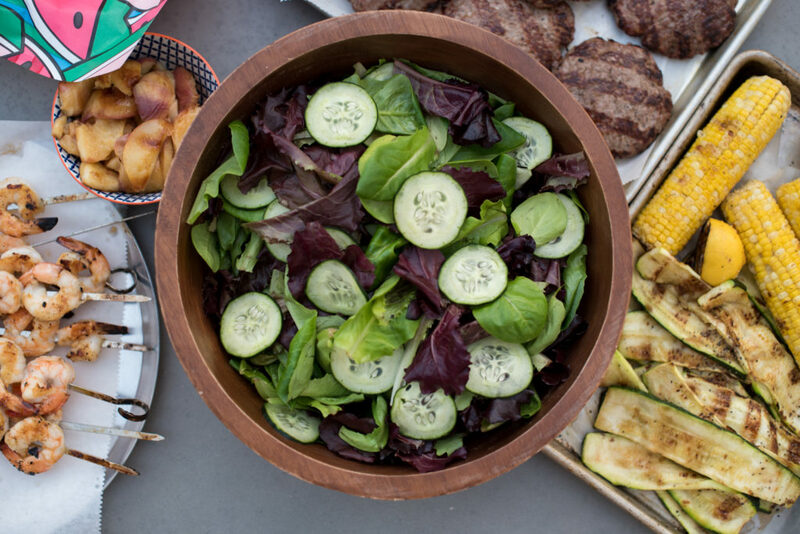 I also most recently served it with a grilled peach salad and white balsamic vinaigrette and it was delicious. I suggest using skewers, preferably the flat ones, so they are easier to cook on both sides. 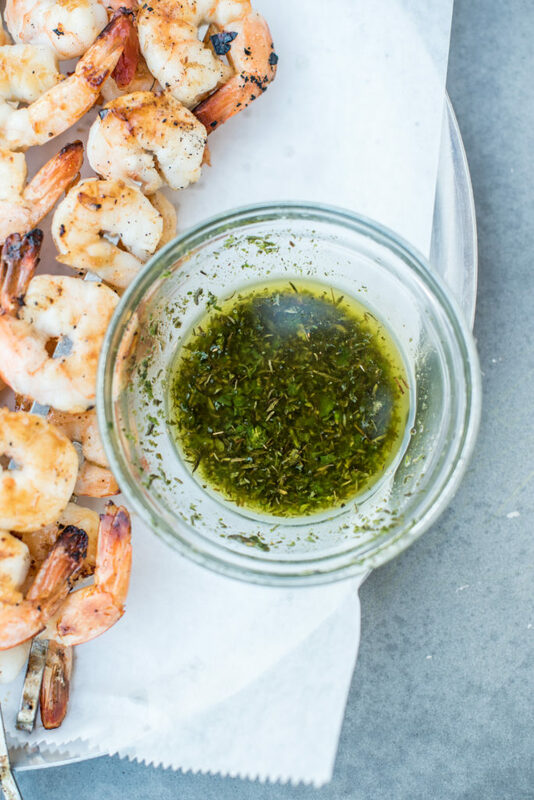 Delicious grilled shrimp brushed with a honey cajun butter, grilled and finished with a delicious fresh herbed chimichurri. Prepare Cajun Honey Marinade: mix melted butter, honey, lemon juice, cajun seasoning, olive oil, and salt in a small dish. Thread 5-6 shrimp on each skewer*. Brush liberally with Cajun Honey Marinade. Use the extra honey butter to baste the skewers as they cook. Grill for 5- 7 minutes or till opaque. Flip halfway. Prepare chimichurri: Whisk olive oil, lemon juice, garlic, oregano, parsley, thyme, salt, and honey till combined. Brush/ spoon over cooked skewers. Serve ASAP! 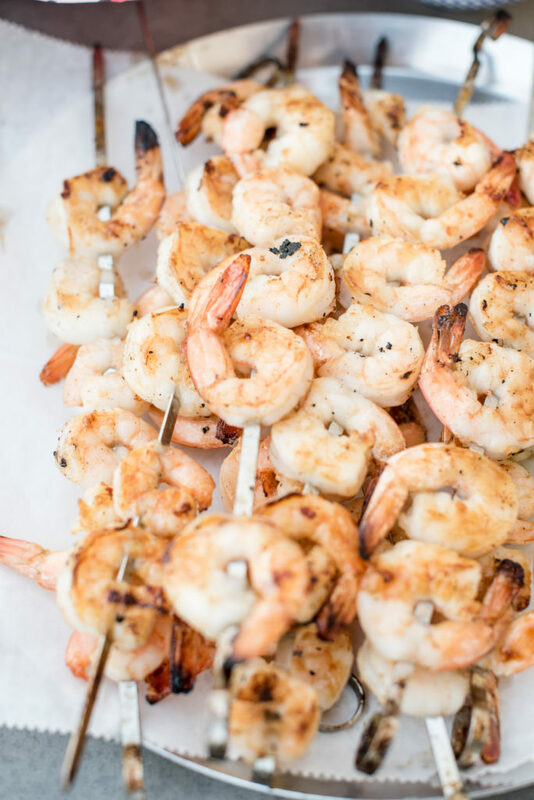 If using wooden skewers, make sure you soak them in water for 45 mins – 1 hour before adding shrimp. If not, they might scorch on the grill. The chimichurri is also delicious brushed over grilled vegetables. 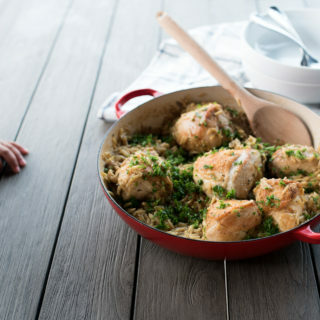 Serve with grilled veggies and dinner is ready in less than 30 minutes and you didn’t even have to turn on the stove OR oven. Brush the herbed olive oil on your veggies as well and appreciate all the fresh herbs and vegetables the summer provides.